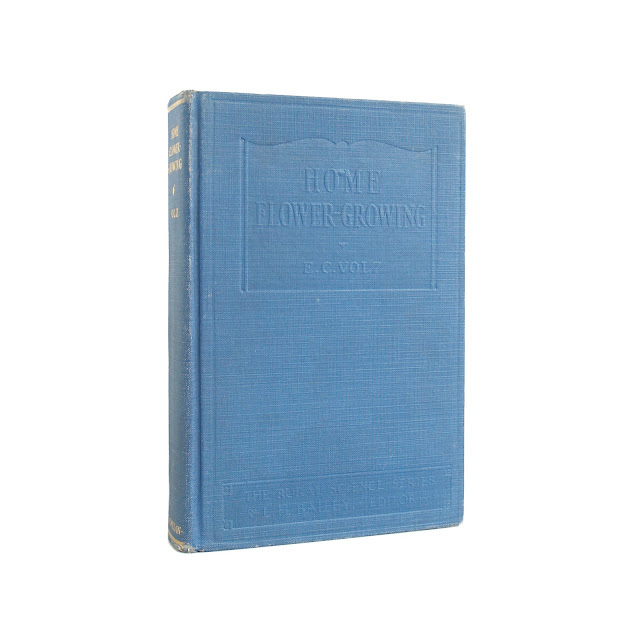 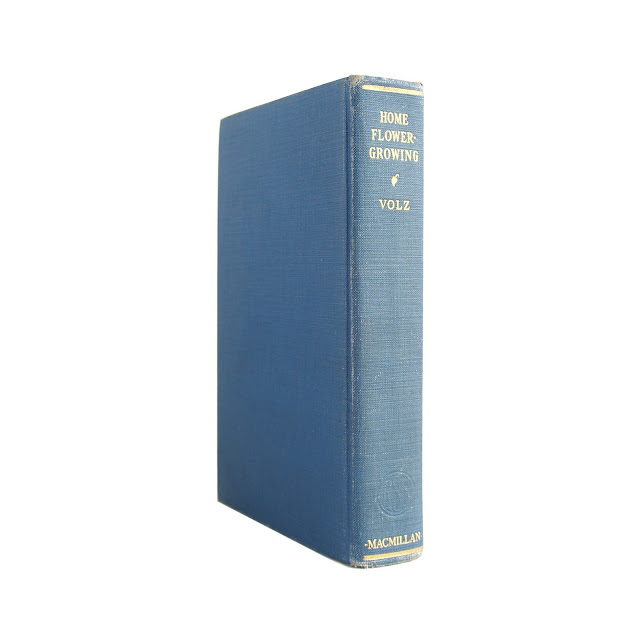 1930s guide to growing flowers in the home garden. 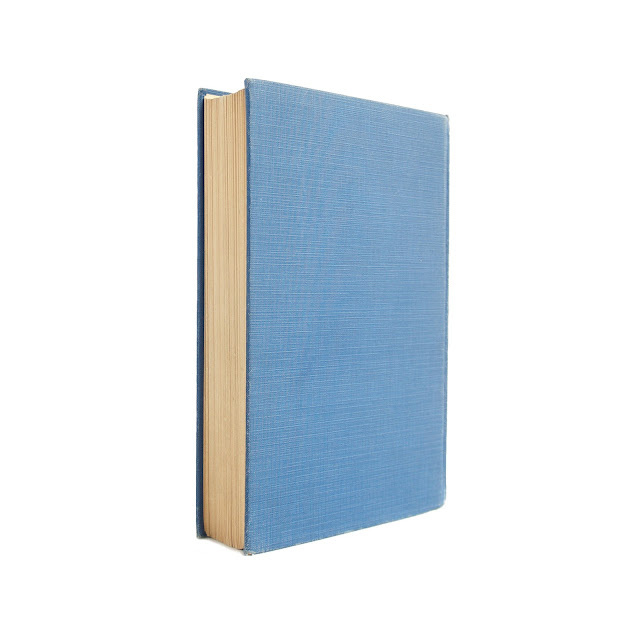 Gilt lettering on the blue spine with a blue cover. 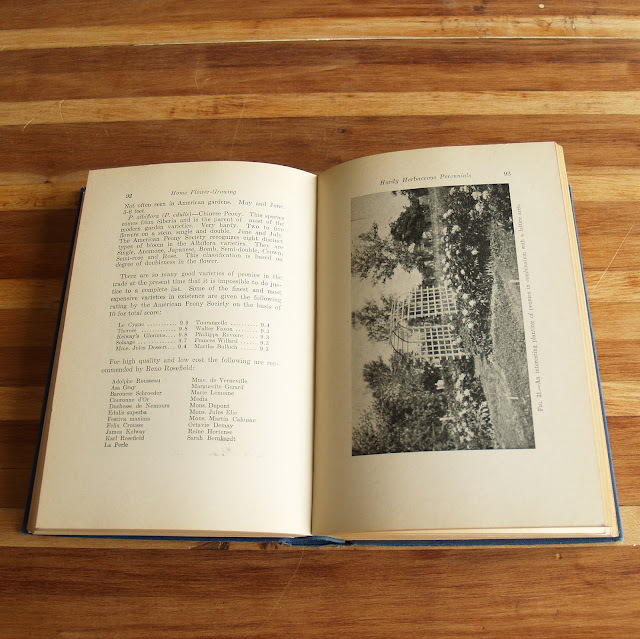 5.5 x 8 inches with 342 pages. 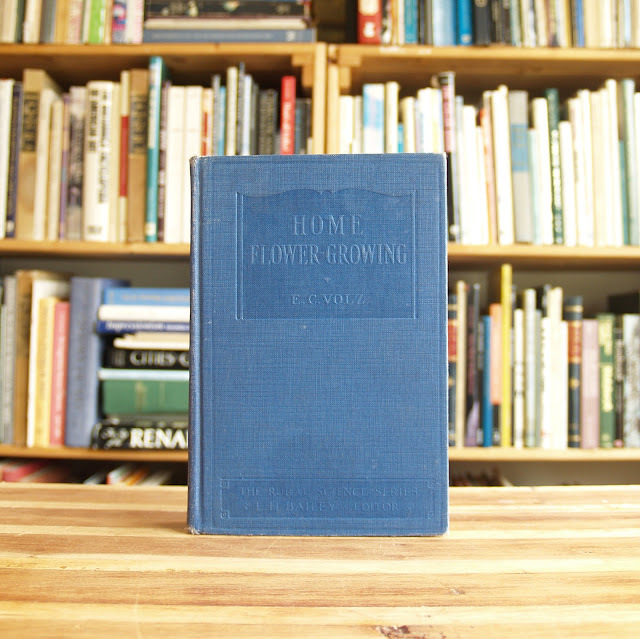 Previous owner's name and price in in present, browned pages, wear and soil.